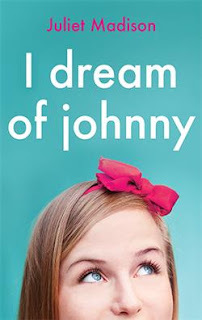 A short but sweet read by Australian author Juliet Madison, pure, absolute fun. Maggie, a creative young woman whose business is not doing well, get's a chance of three wishes on a touchscreen lamp, with the help of a virtual genie. Ever heard the adage 'be careful what you wish for because it might come true'? One of Maggie's wishes is for unlimited funds and the other is for a house which never needs to be cleaned. And the third is for a handsome man to become her other half. A Greek god, no less. Someone who will make her former boyfriend extremely jealous and insecure. Except, she types in the wrong word and instead of 'Greek', she types 'geek'. That's when the fun really begins. Of course it's not much fun for Maggie. She has this man living in her house who totally adores her and who knows everything that there is to know about computers, technology, you name it. No doubt, that could come in useful at times. But he needs her so totally. She can't leave him for a second because human wishes are a huge responsibility. He adores her, but has no experience of actual life. He can only ever wear one outfit, the one he arrived in. Can you imagine the problems she faces now? The singles world looks like Paradise in comparison. And yet....and yet....she can't say he isn't really sweet in a way. If it wasn't for all that factual, technical jargon, he isn't bad looking even if he does have horrible dress sense. The only option is to return the wish and get another one. But does she have the heart to do the deed? I thoroughly enjoyed this book, a forthcoming release from Escape Publishing. I recommend it to readers who like their fiction a little different.